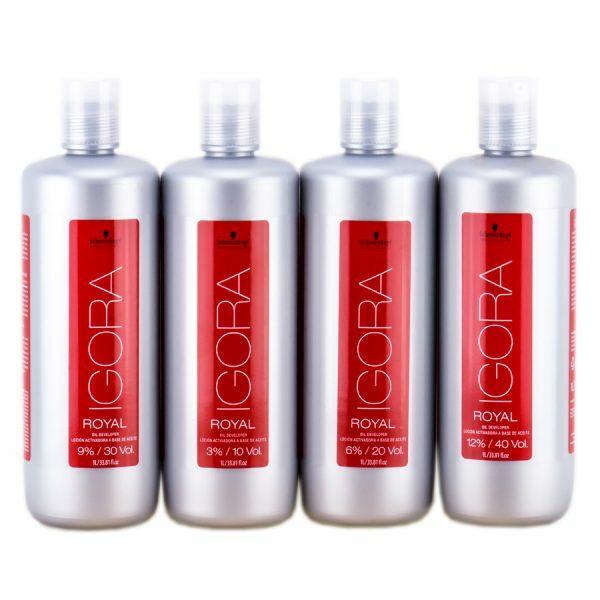 Schwarzkopf Igora Royal Oil Developer is a specially developed high performing peroxide, developed by colourists for colourists. Its innovative Lipid Carrier System and increased oil content enables colour pigments to penetrate faster into the hair, giving more intense, longer lasting colour results. It provides a sealing effect on the hair, giving more shine and lustre, perfect equalisation of colour from the roots to the tips and an improved overall performance. 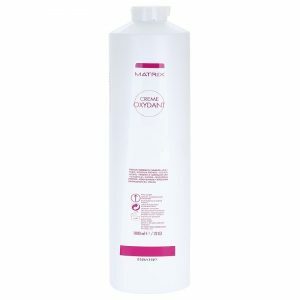 Schwarzkopf Igora Royal Oil Developer is a specially developed high performing peroxide. 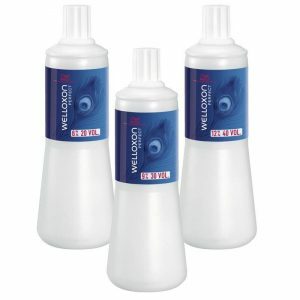 Its innovative Lipid Carrier System and increased oil content enables colour pigments to penetrate faster into the hair. Furthermore it gives more intense, longer lasting colour results. 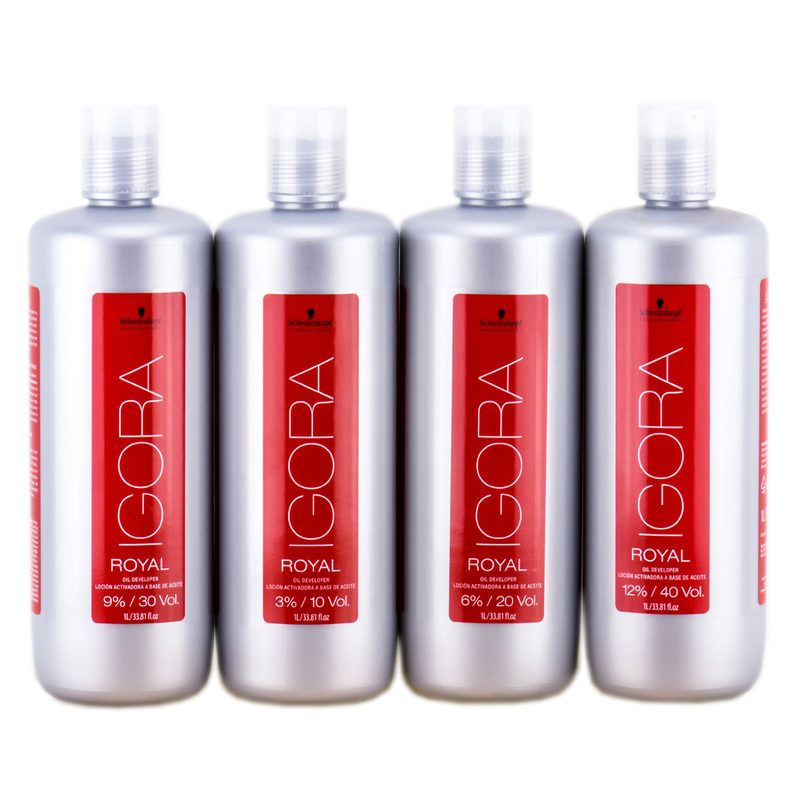 Schwarzkopf Igora Royal Oil Developer provides a sealing effect on the hair. It gives more shine and lustre. Perfect equalisation of colour from the roots to the tips and an improved overall performance. 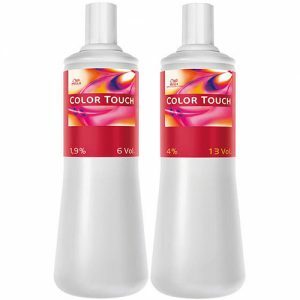 3% for darker or pastel colouring and for covering 100% white hair. 6% for tone-on-tone colouring, white hair coverage and lightening 1–2 levels. 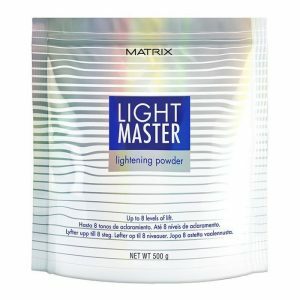 9% for lifting 2–3 levels (3–4 levels with the Special Blondes), colouring with -00 shades and white hair coverage with the Absolutes. 12% for lifting up to 5 levels and for colouring with the Fashion Lights.